Burinskienė, Aurelija [Burinskiene, A.]. Optimising forklift activities in wide-aisle reference warehouse // International journal of simulation modelling Vienna: Vienna University of Technology. ISSN 1726-4529. Vol. 14, no. 4 (2015), p. 621-632. [Duomenų bazės: Science Citation Index Expanded (Web of Science); EBSCO; SCOPUS; INSPEC]; [M.kr. : 03S]; [Citav. rod. : 2,083(F) (2014)]; [Ind. : 1,000] [Ind. aut. lankais: 0,857]. Nugaras, Justas; Ginevičius, Romualdas. The strategic assessment of networking of a higher education institution // Economic research = Ekonomska istraživanja. Pula: Taylor & Francis. ISSN 1331-677X. Vol. 28, iss.1 (2015), p. 31-44. [Duomenų bazės: Science Citation Index Expanded (Web of Science); CAB Abstracts; Elsevier]; [M.kr. : 03S]; [Citav. rod. : 0,432(S) (2014)]; [Ind. : 1,000] [Ind. aut. lankais: 1,000]. Tvaronavičienė, Manuela; Mačiulis, Alminas; Lankauskienė, Toma; Raudeliūnienė, Jurgita; Dzemyda, Ignas. Energy security and sustainable competitiveness of industry development // Economic research = Ekonomska istraživanja. Pula: Taylor & Francis. ISSN 1331-677X. Vol. 28, iss.1 (2015), p. 502-516. [Duomenų bazės: Science Citation Index Expanded (Web of Science); CAB Abstracts; Elsevier]; [M.kr. : 04S; 03S]; [Citav. rod. : 0,432(S) (2014)]; [Ind. : 0,800] [Ind. aut. lankais: 0,857]. Ginevičius, Romualdas; Trishch, Halyna; Petraškevičius, Vladislavas. Quantitative assessment of quality management systems’ processes // Economic research = Ekonomska istraživanja. Pula: Taylor & Francis. ISSN 1331-677X. Vol. 28, iss.1 (2015), p. 1096–1110. [Duomenų bazės: Science Citation Index Expanded (Web of Science); CAB Abstracts; Elsevier]; [M.kr. : 03S; 04S]; [Citav. rod. : 0,432(S) (2014)]; [Ind. : 0,667] [Ind. aut. lankais: 0,714]. Ejdys, Joanna; Ustinovičius, Leonas; Stankevičienė, Jelena. Innovative application of contemporary management methods in a knowledge-based economy – interdisciplinarity in science // Journal of business economics and management. Vilnius: Technika. ISSN 1611-1699. Vol. 16, iss. 1 (2015), p. 261-274. [Duomenų bazės: Social Sciences Citation Index (Web of Science); Scopus; Business Source Complete; ICONDA; IndexCopernicus]; [M.kr. : 03S; 04S; 02T]; [Citav. rod. : 0,723(S) (2014)]; [Ind. : 0,333] [Ind. aut. lankais: 0,333]. Korsakienė, Renata; Stankevičienė, Asta; Šimelytė, Agnė; Talačkienė, Milda. Factors driving turnover and retention of information technology professionals // Journal of business economics and management. Vilnius: Technika. ISSN 1611-1699. Vol. 16, no. 1 (2015), p. 1-17. [Duomenų bazės: Social Sciences Citation Index (Web of Science); Scopus; Business Source Complete; ICONDA; IndexCopernicus]; [M.kr. : 03S]; [Citav. rod. : 0,723(S) (2014)]; [Ind. : 0,750] [Ind. aut. lankais: 0,911]. Ferreira, Fernando A.F. ; Jalali, Marjan S.; Meidutė-Kavaliauskienė, Ieva; Viana, Bianca A.C.P.. A metacognitive decision making based-framework for bank customer loyalty measurement and management // Technological and economic development of economy. Vilnius: Technika. ISSN 2029-4913. Vol. 21, no. 2 (2015), p. 280–300. [Duomenų bazės: Social Sciences Citation Index (Web of Science); SCOPUS; ICONDA; Business Source Complete]; [M.kr. : 03S; 04S]; [Citav. rod. : 1,563(S) (2014)]; [Ind. : 0,250] [Ind. aut. lankais: 0,375]. Smaliukienė, Rasa [Smaliukiene, Rasa]; Chi-Shiun, Lai; Sizovaitė, Indrė [Sizovaite, Indre]. Consumer value co-creation in online business : the case of global travel services // Journal of business economics and management. Vilnius: Technika. ISSN 1611-1699. Vol. 16, no. 2 (2015), p. 325-339. [Duomenų bazės: Social Sciences Citation Index (Web of Science); Scopus; Business Source Complete; ICONDA; IndexCopernicus]; [M.kr. : 03S]; [Citav. rod. : 0,723(S) (2014)]; [Ind. : 0,667] [Ind. aut. lankais: 0,714]. Komarovska, Andželika; Ustinovičius, Leonas [Ustinovichius, Leonas,]; Ševčenko, Galina [Shevchenko, Galina]; Nazarko, Lukasz. Multicriteria evaluation of commercial industrial zone development // International journal of strategic property management. Vilnius: Technika. ISSN 1648-715X. Vol. 19, no. 1 (2015), p. 198-212. [Duomenų bazės: Social Sciences Citation Index (Web of Science); Scopus; ICONDA; Business Source Complete]; [M.kr. : 03S; 04S; 02T]; [Citav. rod. : 1,192(S) (2014)]; [Ind. : 0,250] [Ind. aut. lankais: 0,268]. Žukauskas, Pranas [Zukauskas, Pranas]; Vveinhardt, Jolita; Melnikas, Borisas; Grančay, Martin. Dynamics of attack actions in the mobbing strategy: the case of Lithuania // Journal of business economics and management. Vilnius: Technika. ISSN 1611-1699. Vol. 16, iss. 4 (2015), p. 733-752. [Duomenų bazės: Social Sciences Citation Index (Web of Science); Scopus; Business Source Complete; ICONDA; IndexCopernicus]; [M.kr. : 03S]; [Citav. rod. : 0,723(S) (2014)]; [Ind. : 0,250] [Ind. aut. lankais: 0,357]. Stádník, Bohumil; Miečinskienė, Algita. Complex model of market price development and its simulation // Journal of business economics and management. Vilnius: Technika. ISSN 1611-1699. Vol. 16, iss. 4 (2015), p. 786-807. [Duomenų bazės: Social Sciences Citation Index (Web of Science); Scopus; Business Source Complete; ICONDA; IndexCopernicus]; [M.kr. : 04S]; [Citav. rod. : 0,723(S) (2014)]; [Ind. : 0,500] [Ind. aut. lankais: 0,786]. Rakauskienė, Ona Gražina [Rakauskiene, Ona Gražina]; Okunevičiūtė Neverauskienė, Laima [Okuneviciute Neverauskiene, Laima]. 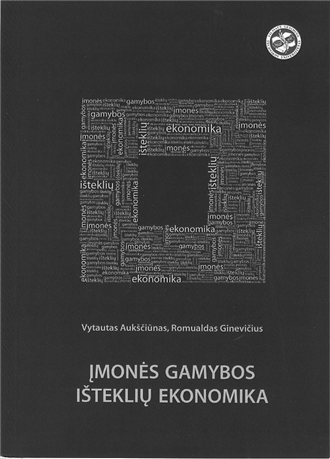 Strategic guidelines of increasing employment and reducing unemployment in the context of EU (Lithuanian case) // Transformations in business & economics / Vilnius University. Kaunas Faculty of Humanities, Brno University of Technology, University of Latvia. Vilnius: VU leidykla. ISSN 1648-4460. Vol. 14, no. 2(35)(2015), p. 224-253. [Duomenų bazės: Social Sciences Citation Index (Web of Science); EBSCO; Scopus]; [M.kr. : 04S]; [Citav. rod. : 0,374(S) (2014)]; [Ind. : 0,250] [Ind. aut. lankais: 0,536]. Lapinskienė, Giedrė; Peleckis, Kęstutis; Radavičius, Marijus. Economic development and greenhouse gas emissions in the European Union countries // Journal of business economics and management. Vilnius: Technika. ISSN 1611-1699. Vol. 16, iss. 6 (2015), p. 1109-1123. [Duomenų bazės: Social Sciences Citation Index (Web of Science); Scopus; Business Source Complete; ICONDA; IndexCopernicus]; [M.kr. : 04S; 03S]; [Citav. rod. : 0,723(S) (2014)]; [Ind. : 0,667] [Ind. aut. lankais: 0,714]. Skačkauskienė, Ilona; Vilkaitė-Vaitonė, Neringa; Vojtovic, Sergej. Model for measuring customer loyalty towards a service provider // Journal of business economics and management. Vilnius: Technika. ISSN 1611-1699. Vol. 16, iss. 6 (2015), p. 1185-1200. [Duomenų bazės: Social Sciences Citation Index (Web of Science); Scopus; Business Source Complete; ICONDA; IndexCopernicus]; [M.kr. : 03S]; [Citav. rod. : 0,723(S) (2014)]; [Ind. : 0,667] [Ind. aut. lankais: 0,762]. Canas, Silvia R.D. ; Ferreira, Fernando A.F. ; Meidutė-Kavaliauskienė, Ieva. Setting rents in residential real estate: a methodological proposal using multiple criteria decision analysis // International journal of strategic property management. Vilnius: Technika. ISSN 1648-715X. Vol. 19, no. 4 (2015), p. 368-380. [Duomenų bazės: Social Sciences Citation Index (Web of Science); Taylor & Francis; Scopus; ICONDA; Business Source Complete]; [M.kr. : 03S]; [Citav. rod. : 1,192(S) (2014)]; [Ind. : 0,167] [Ind. aut. lankais: 0,155]. Taujanskaitė, Kamilė [Taujanskaite, Kamile]; Milčius, Eugenijus [Milcius, Eugenijus]; Rutkauskas, Aleksandras Vytautas. 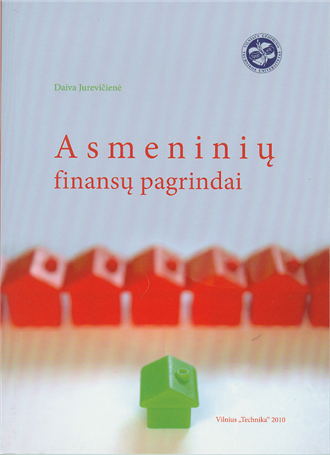 Integrated cross-disciplinary approach to household expenditure management // Inžinerinė ekonomika = Engineering economics. Kaunas: Technologija. ISSN 1392-2785. Vol. 26, no. 5 (2015), p. 489-499. [Duomenų bazės: EBSCO; Social Sciences Citation Index (Web of Science)]; [M.kr. : 04S]; [Citav. rod. : 0,871(S) (2014)]; [Ind. : 0,667] [Ind. aut. lankais: 0,524]. 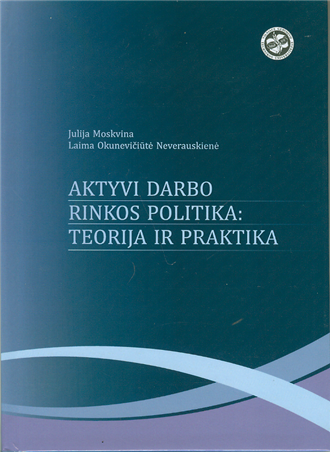 Merkevičius, Juozas; Davidavičienė, Vida; Raudeliūnienė, Jurgita; Buleca, Jan. Virtual organization: specifics of creation of personnel management system // E&M Economics and Management = E&M Ekonomie a management. Liberec: Technická Univerzita v Liberci. ISSN 1212-3609. Vol. 18, iss. 4 (2015), p. 200-211. 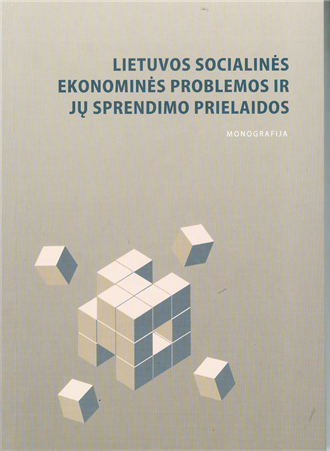 [Duomenų bazės: Social Sciences Citation Index (Web of Science); Scopus; EconLit]; [M.kr. : 03S]; [Citav. rod. : 1,021(S) (2014)]; [Ind. : 0,750] [Ind. aut. lankais: 0,643]. Kaklauskas, Artūras [Kaklauskas, A. ]; Kuzminskė, Agnė [Kuzminske, A. ]; Zavadskas, Edmundas Kazimieras [Zavadskas, E. K.]; Daniūnas, Alfonsas [Daniunas, A. ]; Kaklauskas, Gabrielius [Kaklauskas, G.]; Seniut, Mark [Seniut, M.]; Raistenskis, Juozas [Raistenskis, J. ]; Safonov, Andrej [Safonov, A. ]; Kliukas, Romualdas [Kliukas, R.]; Juozapaitis, Algirdas [Juozapaitis, A. ]; Radzevičienė, Asta [Radzeviciene, A. ]; Čerkauskienė, Rimantė [Cerkauskiene, R.]. Affective tutoring system for built environment management // Computers & Education. Oxford: Elsevier LTD. ISSN 0360-1315. Vol. 82 (2015), p. 202-216. [Duomenų bazės: Science Citation Index Expanded (Web of Science); Science Direct]; [M.kr. : 03S; 02T]; [Citav. rod. : 2,556(S), 2,556(F) (2014)]; [Ind. : 0,083] [Ind. aut. lankais: 0,089]. Stankevičienė, Jelena; Čepulytė, Julija. Sustainable value creation: coherence of corporate social responsibility and performance of socially responsible investment funds // Economic research = Ekonomska istraživanja. Pula: Juraj Dobrila University of Pula. ISSN 1331-677X. Vol. 27, no. 1 (2014), p. 882-898. [Duomenų bazės: Social Sciences Citation Index (Web of Science); CAB Abstracts; Elsewier; Taylor & Francis]; [M.kr. : 04S; 03S]; [Citav. rod. : 0,432(S) (2014)]; [Ind. : 1,000] [Ind. aut. lankais: 1,214]. Rutkauskas, Aleksandras-Vytautas; Stasytytė, Viktorija; Maknickienė, Nijolė. Government debt as the integral portfolio of assets and liabilities generated by debt // Journal of business economics and management. Vilnius: Technika. ISSN 1611-1699. Vol. 15, no. 1 (2014), p. 22-40. [Duomenų bazės: Social Sciences Citation Index (Web of Science); Scopus; Business Source Complete; ICONDA; IndexCopernicus]; [M.kr. : 04S]; [Citav. rod. : 0,723(S) (2014)]; [Ind. : 1,000] [Ind. aut. lankais: 1,357]. Aggarwal, Sugandha; Gupta, Anshu; Govindan, Kannan; Jha, P. C.; Meidutė, Ieva. Effect of repeat purchase and dynamic market size on diffusion of an innovative technological consumer product in a segmented market // Technological and economic development of economy. Vilnius: Technika. ISSN 2029-4913. Vol. 20, no. 1 (2014), p. 97-115. [Duomenų bazės: Social Sciences Citation Index (Web of Science); SCOPUS; ICONDA; Business Source Complete]; [M.kr. : 03S]; [Citav. rod. : 1,563(S) (2014)]; [Ind. : 0,200] [Ind. aut. lankais: 0,271]. Lapinskienė, Giedrė; Tvaronavičienė, Manuela; Vaitkus, Pranas. Greenhouse gases emissions and economic growth – evidence substantiating the presence of environmental Kuznets curve in the EU // Technological and economic development of economy. Vilnius: Technika. ISSN 2029-4913. Vol. 20, no. 1 (2014), p. 65-78. [Duomenų bazės: Social Sciences Citation Index (Web of Science); SCOPUS; ICONDA; Business Source Complete]; [M.kr. : 04S]; [Citav. rod. : 1,563(S) (2014)]; [Ind. : 0,667] [Ind. aut. lankais: 0,667]. Tamošiūnas, Andrius. The model for evaluation of corporate strategic changes in the context of climate change: plywood manufacture // Journal of business economics and management. Vilnius: Technika. ISSN 1611-1699. Vol. 15, no. 1 (2014), p. 135-152. [Duomenų bazės: Social Sciences Citation Index (Web of Science); Scopus; Business Source Complete; ICONDA; IndexCopernicus]; [M.kr. : 03S]; [Citav. rod. : 0,723(S) (2014)]; [Ind. : 1,000] [Ind. aut. lankais: 1,286]. Okunevičiūtė Neverauskienė, Laima. Neįgaliųjų integracija į darbo rinką: padėties vertinimas ir užimtumo didinimo galimybės // Filosofija. Sociologija. Vilnius: Lietuvos Mokslų Akademijos leidykla. ISSN 0235-7186. T. 23, nr. 2 (2012), p. 136-144. [Duomenų bazės: Social Sciences Citation Index (Web of Science); EBSCO; CEEOL; SocINDEX with Full Text]; [M.kr. : 05S; 04S]; [Citav. rod. : 0,333(S) (2014)]; [Ind. : 0,500] [Ind. aut. lankais: 0,321]. Krivka, Algirdas. 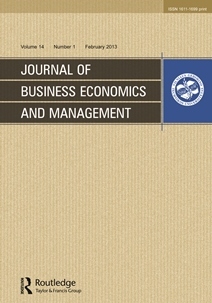 Complex evaluation of the economic crisis impact on Lithuanian industries // Journal of business economics and management. Vilnius: Technika. ISSN 1611-1699. Vol. 15, no. 2 (2014), p. 299-315. [Duomenų bazės: Social Sciences Citation Index (Web of Science); Scopus; Business Source Complete; ICONDA; IndexCopernicus]; [M.kr. : 04S]; [Citav. rod. : 0,723(S) (2014)]; [Ind. : 1,000] [Ind. aut. lankais: 1,214]. Šimelytė, Agnė [Simelyte, Agnė]; Antanavičienė, Jūratė Gintarė [Antanaviciene, Jurate]. Formation of foreign direct investment policy: case of Estonia // Inžinerinė ekonomika = Engineering economics. Kaunas: Technologija. ISSN 1392-2785. Vol. 25, no. 2, 2014, p. 177-185. [Duomenų bazės: EBSCO; Social Sciences Citation Index (Web of Science)]; [M.kr. : 04S]; [Citav. rod. : 0,871(S) (2014)]; [Ind. : 1,000] [Ind. aut. lankais: 0,643]. Keršulienė, Violeta; Turskis, Zenonas. A hybrid linguistic fuzzy multiple criteria group selection of a chief accounting officer // Journal of business economics and management. Vilnius: Technika. ISSN 1611-1699. Vol. 15, no. 2 (2014), p. 232-252. [Duomenų bazės: Social Sciences Citation Index (Web of Science); Scopus; Business Source Complete; ICONDA; IndexCopernicus]; [M.kr. : 03S; 04S]; [Citav. rod. : 0,723(S) (2014)]; [Ind. : 0,500] [Ind. aut. lankais: 0,750]. Dudzevičiūtė, Gitana; Mačiulis, Alminas; Tvarоnavičienė, Manuela. Structural changes оf ecоnоmies: Lithunia in the glоbal cоntext // Technological and economic development of economy. Vilnius: Technika. ISSN 2029-4913. Vol. 20, no. 2 (2014), p. 353-370. [Duomenų bazės: Social Sciences Citation Index (Web of Science); SCOPUS; ICONDA; Business Source Complete]; [M.kr. : 04S]; [Citav. rod. : 1,563(S) (2014)]; [Ind. : 0,333] [Ind. aut. lankais: 0,429]. Fulop, Gyula; Hernadi, Bettina; Jalali, Marjan S.; , Meidute-Kavaliauskiene Ieva [Meidutė-Kavaliauskienė, Ieva,]; Ferreira, Fernando A. F.. 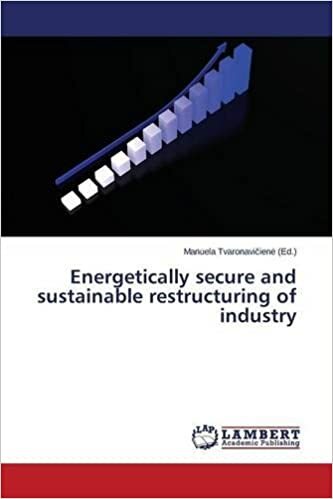 Developing of sustainability balanced scorecard for the chemical industry: preliminary evidence from a case analysis // Inžinerinė ekonomika = Engineering economics. Kaunas: Technologija. ISSN 1392-2785. Vol. 25, no. 3, 2014, p. 341-349. [Duomenų bazės: EBSCO; Social Sciences Citation Index (Web of Science)]; [M.kr. : 03S; 04S]; [Citav. rod. : 0,871(S) (2014)]; [Ind. : 0,100] [Ind. aut. lankais: 0,064]. Stankevičienė, Jelena; Sviderskė, Tatjana; Miečinskienė, Algita. Dependence of sustainability on country risk indicators in EU Baltic Sea region countries // Journal of business economics and management. Vilnius: Technika. ISSN 1611-1699. Vol. 15, no. 4 (2014), p. 646-663. [Duomenų bazės: Social Sciences Citation Index (Web of Science); Scopus; Business Source Complete; ICONDA; IndexCopernicus]; [M.kr. : 04S; 03S]; [Citav. rod. : 0,723(S) (2014)]; [Ind. : 1,000] [Ind. aut. lankais: 1,286]. Jurevičienė, Daiva; Volkova, Marina. 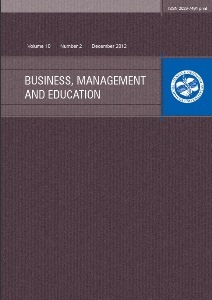 Evaluation of the 3rd pillar pension funds in Lithuania // Journal of business economics and management. Vilnius: Technika. ISSN 1611-1699. Vol. 15, no. 4 (2014), p. 684-707. [Duomenų bazės: Social Sciences Citation Index (Web of Science); Scopus; Business Source Complete; ICONDA; IndexCopernicus]; [M.kr. : 04S]; [Citav. rod. : 0,723(S) (2014)]; [Ind. : 0,500] [Ind. aut. lankais: 0,857]. Melnikas, Borisas. Cohesion processes in internal and external spaces of the European Union: the new priorities // Inžinerinė ekonomika = Engineering economics. Kaunas: Technologija. ISSN 1392-2785. Vol. 24, no. 5, 2013, p. 456-467. [Duomenų bazės: Social Sciences Citation Index (Web of Science); Business Source Complete; IBSS; VINITI; CEEOL; DOAJ]; [M.kr. : 04S; 03S]; [Citav. rod. : 0,871(S) (2014)]; [Ind. : 1,000] [Ind. aut. lankais: 0,857]. Šimelytė, Agnė; Peleckis, Kęstutis; Korsakienė, Renata. Analytical network process based on BOCR analysis as an approach for designing a foreign direct investment policy // Journal of business economics and management. Vilnius: Technika. ISSN 1611-1699. Vol. 15, no. 5 (2014), p. 833-852. [Duomenų bazės: Social Sciences Citation Index (Web of Science); Scopus; Business Source Complete; ICONDA; IndexCopernicus]; [M.kr. : 04S]; [Citav. rod. : 0,723(S) (2014)]; [Ind. : 1,000] [Ind. aut. lankais: 1,429]. Titko, Jelena; Stankevičienė, Jelena; Lace, Natalja [Lāce, Nataļja]. Measuring bank efficiency: DEA application // Technological and economic development of economy. Vilnius: Technika. ISSN 2029-4913. Vol. 20, no. 4 (2014), p. 739-757. [Duomenų bazės: Social Sciences Citation Index (Web of Science); SCOPUS; ICONDA; Business Source Complete]; [M.kr. : 04S; 03S]; [Citav. rod. : 1,563(S) (2014)]; [Ind. : 0,333] [Ind. aut. lankais: 0,452]. Rutkauskas, Aleksandras-Vytautas; Stasytytė, Viktorija [Stasytyte, Viktorija]; Michnevič, Edvard [Michnevic, Edvard]. Universally sustainable development strategy for a small country: a systemic decision // Inžinerinė ekonomika = Engineering economics. Kaunas: Technologija. ISSN 1392-2785. Vol. 25, no. 5, 2014, p. 630-537. [Duomenų bazės: EBSCO; Social Sciences Citation Index (Web of Science)]; [M.kr. : 04S]; [Citav. rod. : 0,871(S) (2014)]; [Ind. : 0,667] [Ind. aut. lankais: -4,381]. Brauers, Willem Karel M.; Ginevičius, Romualdas; Podviezko, Askoldas. Development of a methodology of evaluation of financial stability of commercial banks // Panoeconomicus. Novi Sad: Savez ekonomista Vojvodine. ISSN 1452-595X. Vol. 61, no. 3 (2014), p. 349-367. [Duomenų bazės: EBSCO; Proquest; Scopus; Social Sciences Citation Index (Web of Science)]; [M.kr. : 01P; 04S; 03S]; [Citav. rod. : 0,770(S) (2014)]; [Ind. : 0,667] [Ind. aut. lankais: 0,905]. Ginevičius, Romualdas; Podviezko, Askoldas. 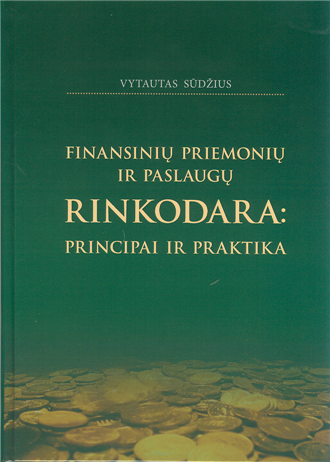 The evaluation of financial stability and soundness of Lithuanian banks // Ekonomska istraživanja = Economic research. Pula: Juraj Dobrila University of Pula. ISSN 1331-677X. Vol. 26, no. 2 (2013), p. 191-208. [Duomenų bazės: Science Citation Index Expanded (Web of Science); CAB Abstracts; Elsewier]; [M.kr. : 03S; 04S; 01P]; [Citav. rod. : 0,241(S) (2013)]; [Ind. : 1,000] [Ind. aut. lankais: 1,286]. Ginevičius, Romualdas; Podvezko, Valentinas; Ginevičius, Adomas. Quantitative evaluation of enterprise marketing activities // Journal of business economics and management. Vilnius: Technika. ISSN 1611-1699. Vol. 14, no. 1 (2013), p. 200-212. [Duomenų bazės: Social Sciences Citation Index (Web of Science); Scopus; Business Source Complete; ICONDA; IndexCopernicus]; [M.kr. : 03S; 04S; 01P]; [Citav. rod. : 0,810(S) (2013)]; [Ind. : 0,667] [Ind. aut. lankais: 0,619]. Maknickienė, Nijolė; Maknickas, Algirdas. Financial market prediction system with Evolino neural network and delphi method // Journal of business economics and management. Vilnius: Technika. ISSN 1611-1699. Vol. 14, no. 2 (2013), p. 403-413. [Duomenų bazės: Social Sciences Citation Index (Web of Science); Scopus; Business Source Complete; ICONDA; IndexCopernicus]; [M.kr. : 04S]; [Citav. rod. : 0,810(S) (2013)]; [Ind. : 0,500] [Ind. aut. lankais: 0,393]. Maditinos, Dimitrios Ioannis; Ševic, Željko [Šević, Željko]; Stankevičienė, Jelena; Karakoltsidis, Nikolaos. Earnings response coefficients in the Greek market // Journal of business economics and management. Vilnius: Technika. ISSN 1611-1699. Vol. 14, no. 2 (2013), p. 414-431. [Duomenų bazės: Social Sciences Citation Index (Web of Science); Scopus; Business Source Complete; ICONDA; IndexCopernicus]; [M.kr. : 04S]; [Citav. rod. : 0,810(S) (2013)]; [Ind. : 0,250] [Ind. aut. lankais: 0,321]. Jia, Peng; Mahdiraji, Hannan Amoozad; Govindan, Kannan; Meidutė, Ieva. Leadership selection in an unlimited three-echelon supply chain // Journal of business economics and management. Vilnius: Technika. ISSN 1611-1699. Vol. 14, no. 3 (2013), p. 616-637. [Duomenų bazės: Social Sciences Citation Index (Web of Science); Scopus; Business Source Complete; ICONDA; IndexCopernicus]; [M.kr. : 03S]; [Citav. rod. : 0,810(S) (2013)]; [Ind. : 0,250] [Ind. aut. lankais: 0,393]. Papšienė, Palmira [Papsiene, Palmira]; Vaitkevicius, Sigitas. Network model of human resource evaluation and organizational climate interaction phenomenon // Inžinerinė ekonomika = Engineering economics. Kaunas: Technologija. ISSN 1392-2785. Vol. 24, no. 3, 2013, p. 217-225. [Duomenų bazės: Social Sciences Citation Index (Web of Science); Business Source Complete; IBSS; VINITI; CEEOL; DOAJ]; [M.kr. : 03S]; [Citav. rod. : 0,771(S) (2013)]; [Ind. : 0,500] [Ind. aut. lankais: 0,321]. Drejeris, Rolandas; Bivainis, Juozas; Tunčikienė, Živilė; Drejerienė, Eglė. Determining the purposefulness of new services on the grounds of the results of quantitative analysis // Journal of business economics and management. Vilnius: Technika. ISSN 1611-1699. Vol. 14, no. 4 (2013), p. 791-805. [Duomenų bazės: Social Sciences Citation Index (Web of Science); Scopus; Business Source Complete; ICONDA; IndexCopernicus]; [M.kr. : 03S]; [Citav. rod. : 0,810(S) (2013)]; [Ind. : 0,750] [Ind. aut. lankais: 0,804]. Skačkauskienė, Ilona. Research on the dynamics of Lithuanian state revenue and preferences for expenditure allocation // Journal of business economics and management. Vilnius: Technika. ISSN 1611-1699. Vol. 14, no. 4 (2013), p. 806-817. [Duomenų bazės: Social Sciences Citation Index (Web of Science); Scopus; Business Source Complete; ICONDA; IndexCopernicus]; [M.kr. : 03S; 04S]; [Citav. rod. : 0,810(S) (2013)]; [Ind. : 1,000] [Ind. aut. lankais: 0,857]. Brauers, Willem Karel M.; Ginevičius, Romualdas. How to invest in Belgian shares by MULTIMOORA optimization // Journal of business economics and management. Vilnius: Technika. ISSN 1611-1699. Vol. 14, no. 5 (2013), p. 940-956. [Duomenų bazės: Social Sciences Citation Index (Web of Science); Scopus; Business Source Complete; ICONDA; IndexCopernicus]; [M.kr. : 04S]; [Citav. rod. : 0,810(S) (2013)]; [Ind. : 0,750] [Ind. aut. lankais: 0,911]. Melnikas, Borisas. Cohesion-based transformations in the European Union: development tendencies and integration processes in the Baltic region // Transformations in business & economics. Vilnius: VU leidykla. ISSN 1648-4460. Vol. 12, no. 3 (2013), p. 93-120. [Duomenų bazės: Social Sciences Citation Index (Web of Science); EBSCO]; [M.kr. : 03S]; [Citav. rod. : 0,260(S) (2013)]; [Ind. : 1,000] [Ind. aut. lankais: 2,000]. Masteika, Saulius; Driaunys, Kęstutis; Rutkauskas, Aleksandras-Vytautas. Historical data formation for back test and technical analysis in North American futures market // Transformations in business & economics. Vilnius: VU leidykla. ISSN 1648-4460. Vol. 12, no. 1A (2013), p. 473-488. [Duomenų bazės: Social Sciences Citation Index (Web of Science); EBSCO]; [M.kr. : 04S]; [Citav. rod. : 0,260(S) (2013)]; [Ind. : 0,333] [Ind. aut. lankais: 0,381]. Kaklauskas, Artūras [Kaklauskas, A. ]; Zavadskas, Edmundas Kazimieras [Zavadskas, E.K. ]; Seniut, Mark [Seniut, M.]; Stankevič, Voitech [Stankevic, V.]; Raistenskis, Juozas [Raistenskis, J. 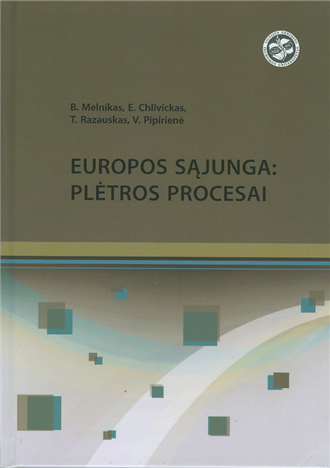 ]; Šimkevičius, Česlovas [Simkevicius, C.]; Stankevič, Tomaš [Stankevic, T.]; Matuliauskaitė, Agnė [Matuliauskaite, A. ]; Bartkienė, Lina [Bartkiene, L.]; Žemeckytė, Lina [Zemeckyte, L.]; Pališkienė, Rasa [Paliskiene, R.]; Čerkauskienė, Rimantė [Cerkauskiene, R.]; Gribniak, Viktor. Recommender system to analyze student’s academic performance // Expert systems with applications. Oxford: Elsevier Science Ltd. ISSN 0957-4174. Vol. 40, iss. 15 (2013), p. 6150-6165. [Duomenų bazės: Science Direct; Science Citation Index Expanded (Web of Science)]; [M.kr. : 09P; 03S]; [Citav. rod. : 1,965(F) (2013)]; [Ind. : 0,077] [Ind. aut. lankais: 0,088]. Monografijoje pateikiama trumpa tvarumo apskaitos istorija, finansinės apskaitos transformavimo į tvarumo apskaitą pagrindai bei tvarumo ataskaitų teikimo gairės. Apžvelgiamas įmonės ekonominės pridėtinės vertės skaičiavimo modelis. Tikimasi, kad šie tyrimai suteiks galimybę įmonėms geriau suprasti tvarumo apskaitos metodus ir jų naudą. Tyrime pagrįstas valdymo kontrolės sistemos diegimo būtinumas ir organizavimas, pateikta lanksti įmonės organizacinė valdymo struktūra, atsakingųjų centrų formavimo metodika, kuri leidžia visiškai įtraukti į apskaitą tų centrų pajamas ir sąnaudas. Darbe įvertintas LR mokesčių sistemos efektyvumas ir sudaryta mokesčių sistemos vertinimo metodika, atliktas ES valstybių narių tarpusavio rezultatų palyginimas, įvertintas LR apmokestinimo principų pagrįstumas, nustatyti veiksniai, lemiantys mokestinių pajamų surinkimo sėkmę. Monografija skirta įvairių socialinių mokslų akademiniams darbuotojams, viešojo valdymo, vadybos ir administravimo specialistams praktikams, taip pat įvairių plačiosios visuomenės sluoksnių atstovams. Monografija gali būti naudojama įvairiose vadybos profilio studijose, taip pat sprendžiant daugelį praktinio pobūdžio viešojo valdymo ir jo tobulinimo klausimų. Monografijoje nagrinėjamos paslaugų vartotojų lojalumo kūrimo, valdymo, vertinimo ir ugdymo problemos didėjančio organizacijų aplinkos dinamiškumo ir konkurencingumo fone. Konstruktyviai išanalizuota vartotojų lojalumo samprata ir raida, išnagrinėta paslaugų vartotojų lojalumo specifika, pristatytas vartotojų lojalumo vertinimo metodinis potencialas. Remiantis teorine ir autorių atliktų specialių tyrimų rezultatų analize, parengtas paslaugų vartotojų lojalumo vertinimo modelis, taikytinas trimis skirtingais duomenų prieigos scenarijais. Monografijoje pagal parengtą metodiką pristatyti modelio tinkamumo empirinio tyrimo maitinimo, grožio bei sporto paslaugas teikiančių įmonių atveju rezultatai patvirtino paslaugų vartotojų lojalumo vertinimo modelio tinkamumą skirtingomis duomenų prieigos situacijomis. Monografijoje ypač daug dėmesio skirta tikslingų, kryptingų vartotojų lojalumo ugdymo priemonių parinkimui tinkamu laiku. Šių priemonių arsenalas apima labdaros, ryšių, virusinės rinkodaros taikymą, rinkodaros komunikacijų integravimą, rekomendacijų skatinimą, paslaugos teikėjo pakeitimo sąnaudų kūrimą bei pastarąjį šimtmetį tradiciniu tapusį lojalumo programos kūrimo sprendimą. Monografija skirta sudėtingų sistemų analitikams ir vadybininkams, besidomintiems tų sistemų būsenos ir plėtros tvarumo ugdymo problemomis. 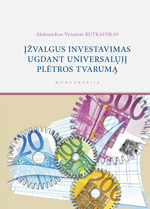 Daug dėmesio skiriama strategijoms, generuojančioms investicinės grąžos tvarumą finansų rinkose, ir strategijoms, palaikančioms nedidelių šalių universalųjį plėtros tvarumą. Prognozuojamos būsenos ir reiškiniai monografijoje vertinami kaip stochastiniai dydžiai ar procesai. Inovatyvūs ir praktiškai įgyvendinti patikimumo valdymo modeliai leidžia monografiją naudoti kaip mokymo ir kvalifikacijos tobulinimo priemonę magistrantūros ir doktorantūros studijose. Globalizacijos ir transformacijų kontekste efektyvi priemonė organizacijų veiklos veiksmingumui didinti yra žinių potencialo vertinimas. Monografijos tikslas yra sukurti organizacijos žinių potencialo valdymo strateginių sprendimų formavimo modelį, teikiantį prielaidų kompleksiškai įvertinti išorinius ir vidinius žinių potencialui turinčius poveikį veiksnius, nustatyti organizacijos poziciją rinkoje ir sudaryti žinių potencialo valdymo strateginių sprendimų poaibę. Organizacijos žinių potencialas šiame tyrime apibrėžiamas kaip organizacijos išteklių ir rinkos galimybių visuma, generuojanti organizacijos žinių potencialą, kurio kompleksinis vertinimas ir veiksmingas valdymas teikia prielaidų tenkinti besikeičiančius individualius vartotojų poreikius, kurti abipusę vertę, unikalumą ir lyderystę rinkoje. Organizacijos žinių potencialui valdyti siūlomas autorės patobulintas procesinis žinių valdymo modelis, apimantis žinių valdymo procesus ir formuojantis organizacijai žinių vertę. 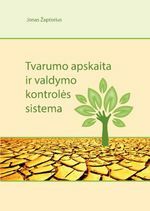 Monografijoje tiriamos organizacijos žinių potencialo valdymo ir vertinimo aktualijos transformacijų kontekste, nagrinėjami integruotojo žinių valdymo modelio vertinimo ypatumai ir pateikiamas žinių potencialo valdymo strateginių sprendimų formavimo modelis. Monografija skiriama socialinių mokslų mokslininkams, doktorantams, magistrantūros ir bakalauro studijų studentams, žinių valdymo srities specialistams ir įvairių organizacijų atstovams. 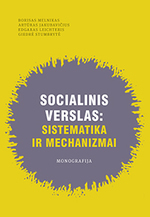 Monografijoje apibendrinta autorių ilgamečių tyrimų medžiaga, skirta socialiai orientuotai ir kon­kurencingai ekonomikai kurti bei socialinio verslo plėtrai ir jai efektyvinti. Aptariami socialinio verslo darnos siekiai bei globalizacijos ir žiniomis grindžiamos visuomenės kūrimo iššūkiai, Eu­ropos Sąjungos valstybių narių patirtis plėtojant socialinį verslą, socialinio verslo būklė ir galimos plėtros kryptys, teisinės aplinkos poveikis socialinio verslo plėtrai bei ekonominės aplinkos poveikis socialinio verslo plėtrai Lietuvoje, detaliai apibūdinama socialinio verslo sistematika ir atskleidžia­mos jos kompleksiškumo apraiškos, išdėstytas naujas požiūris į socialinio verslo plėtros prielaidas, taip pat pateikiama naujų teorinių bei praktinių sprendimų, skirtų socialiniam verslui plėtoti kon­kurencingos ekonomikos sistemoje. Monografijoje pateikti ir apibendrinti tyrimų rezultatai laikytini svarbiais aktyvinant socialiai orientuotos ir konkurencingos ekonomikos kūrimą bei skatinant socialinio verslo plėtrą tiek Lietu­voje, tiek kitose Europos Sąjungos šalyse. Monografijos medžiaga gali būti panaudota tiek valstybinio valdymo funkcijas vykdančiose ins­titucijose, tiek verslo organizacijose, ypač – tobulinant socialinės ir konkurencingos ekonomikos kūrimo bei aktyvinimo socialinio verslo plėtros politiką. Monografijos medžiagą pravartu naudoti universitetuose bei kitose aukštosiose mokyklose vykdomoms studijoms, visų pirma – ekonomi­nio, vadybinio profilio studijų programose. Monografijos medžiaga taip pat skiriama supažindinti vadybos ir administravimo, verslo, viešųjų paslaugų sektoriuose dirbančius specialistus su naujais teoriniais požiūriais į socialinio verslo kūrimą ir aktyvinimą, taip pat su pažangia praktine patirtimi plėtojant ir modernizuojant socialinio verslo plėtrai skirtas priemones ir sistemas. Monografijoje kompleksiškai aptariamos ir nagrinėjamos viešojo valdymo ir jo tobulinimo problemos, poreikiai bei galimybės šiuolaikinėmis globalizacijos ir žinių visuomenės bei žinių ekonomikos kūrimo sąlygomis. Pagrindinis dėmesys skiriamas šiuolaikinei visuomenei ir jos gyvenimui reikšmingiems globalizacijos ir žinių visuomenės kūrimo procesams, šių procesų sukeliamiems iššūkiams viešajam valdymui, taip pat viešojo valdymo tobulinimo poreikiams. Nuodugniai aptariamos šiuolaikiniame viešajame sektoriuje bei šio sektoriaus organizacijose kylančios žmogiškųjų išteklių potencialo ugdymo ir valstybės tarnybos plėtojimo problemos, viešojo sektoriaus organizacijų veiklos tobulinimo galimybės, visų pirma naudojant šiuolaikines informacines technologijas, analizuojama marketingo praktika viešajame sektoriuje ir marketingo tobulinimo perspektyvos, atsižvelgiant į įvairias globalizacijos ir žinių visuomenės kūrimo aplinkybes. Monografija skirta įvairių socialinių mokslų akademiniams darbuotojams, viešojo valdymo, vadybos ir administravimo specialistams praktikams, taip pat įvairių plačiosios visuomenės sluoksnių atstovams. Knyga gali būti naudojama įvairiose vadybos profilio studijose, taip pat sprendžiant daugelį praktinio pobūdžio viešojo valdymo ir jo tobulinimo klausimų. This monograph provides a holistic discussion and analysis of what the author holds as the most important theoretical issues of communication in the bargaining process, describes factors of communication efficiency and the principles of effective communication. It also widely covers rhetorical argumentation, convincing and strategic orientation of communication. This study also discusses the issues of building confidence in the bargaining process and how to identify and neutralize the opponent‘s remarks and possible manipulations. Also, the book provides the basics of reading and managing body language. 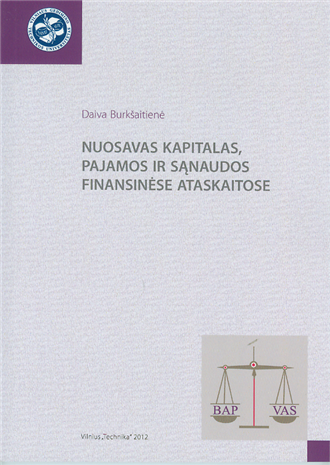 The monograph is intended for academic staff, working in the field of social sciences and humanities, researching the issues of improving business negotiations and organising business meetings, also for management and administration specialists, as well as representatives of various general segments of the society. The book may be used for various management-related university studies in shaping students‘ negotiating competencies, as well as solving many practical questions of organising and improving business negotiations. The monograph aims to disclose how transformation of economic structures due to their different energy intensities affect sustainable development of selected countries. 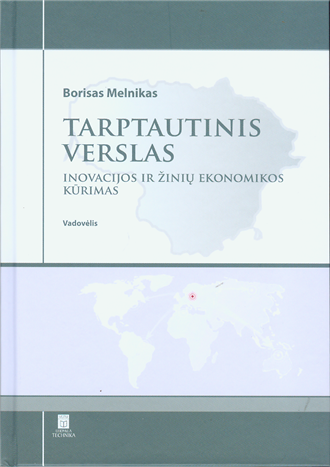 In the book economic growth, sustainable development and energy security interrelations are being discussed; research of economic structural changes from the prospective of energy consumption is being provided; modelling of Lithuanian industrial sector activities and energy intensities is presented; behavior of Lithuanian exporting companies evaluated. Insights and recommendations are being formulated. Monografija skirta visų mokslų pakopų studijuojantiems, siekiantiems moksliniu pagrindu perprasti paslaugų verslo subtilybes, naujo paslaugų verslo kūrimo aspektus. Monografijos studijavimas padės išmokti palyginti, sisteminti, apibendrinti informaciją, daryti išvadas. Leidinyje pateikiama verslo, vadybos, ekonomikos, inžinerinio, humanitarinio profilio ir kitoms universitetinėms studijoms skirta medžiaga, apimanti tarptautinio verslo, jo plėtros ir inovacijų sklaidos, inovacinės veiklos aktyvinimo, žinių visuomenės ir žinių ekonomikos kūrimo tematiką. Leidinio paskirtis – suteikti studentams ir kitiems skaitytojams kompleksinių žinių apie naujausias tarptautinio verslo raidos tendencijas, šiuolaikinius globalizacijos procesus, jų apraiškas tarptautiniame versle, taip pat apie žinių visuomenės ir žinių ekonomikos kūrimą, apie tarptautinio verslo ypatumus žinių ekonomikos kūrimo kontekste. Prioritetinis dėmesys skiriamas inovacijų sklaidos, inovacinės veiklos aktyvinimo, mokslo ir technologijų pažangos kaip esminių verslo internacionalizavimo bei tarptautinio verslo plėtros ir efektyvinimo veiksnių prasmei bei reikšmei atskleisti. Leidinyje nuodugniai apibūdinami šiuolaikiniam tarptautiniam verslui ir jo plėtrai, inovacinei veiklai ir jos aktyvinimui, žinių visuomenės ir žinių ekonomikos kūrimui būdingi reiškiniai ir dėsningumai, taip pat perspektyvūs teoriniai modeliai ir nauji požiūriai, naudotini aktyvinant technologiškai orientuoto verslo internacionalizaciją bei kryptingai plėtojant mokslinius tyrimus, skirtus tarptautiniam verslui, mokslo ir technologijų pažangai. Leidinys yra naujas ir unikalus tuo, kad jame pirmą kartą tarptautiniam verslui ir žinių visuomenės bei žinių ekonomikos kūrimui, inovacijų vadybos bei inovacinės veiklos tematikai skirtų vadovėlių rengimo ir leidybos praktikoje pateikiama kompleksinio pobūdžio medžiaga, atspindinti sąsajas ir bendrumą tarp tarptautinio verslo ir jo raidos bei plėtros ir tarp žinių visuomenės, žinių ekonomikos kūrimo bei inovacijų sklaidos, vadybos bei inovacinės veiklos procesų, reiškinių bei dėsningumų. Knygoje analizuojama besimokančios organizacijos teorija siejant su įvairių organizacijų praktika. Besimokančios organizacijos formavimo klausimai pradedami nagrinėti nuo reikalingų mokymosi sąlygų sukūrimo ir pagrindinių mokymosi problemų analizės. Paskui nuosekliai analizuojamas organizacijų mokymosi procesas ir mokymosi būdai, pradedant nuo individualaus ir einant prie organizacinio mokymosi. Be to, nagrinėjama atskirų organizacijų geroji patirtis. Daug dėmesio skiriama svarbiausių pamokų, gautų tyrinėjant, praktiškai mokantis ar eksperimentuojant, analizei. Knyga skiriama aukštųjų mokyklų studentams, rekomenduojama ir dėstytojams bei visiems kas domisi besimokančios organizacijos kūrimu. Socialinė ekonominė politika yra vienas iš pagrindinių Lietuvos ir daugelio kitų valstybių bei jų junginių, tokių kaip Europos Sąjunga, veiklos prioritetų. Socialinės ekonominės raidos analizė monografijoje pradedama nuo biudžeto – svarbiausio socialinės ekonominės politikos instrumento – nagrinėjimo, išgryninant teorinius ir metodologinius biudžeto formavimo aspektus bei susiejant su Lietuvos valstybės praktika. Nagrinėjant biudžetą kaip valstybės viešojo valdymo įrankį, atliekama kiekybinės Lietuvos Respublikos biudžeto politikos išraiškos analizė bei Vyriausybės veiklos prioritetų ir valstybės išlaidų sąsajų tyrimas. Pabrėžiant socialinės politikos įtaką ekonominiam augimui, vertinama situacija darbo rinkoje: įvairiais pjūviais apibūdinami užimtumą ir nedarbą atspindintys rodikliai, analizuojama bendrųjų darbo rinkoje vykstančių tendencijų kaita per ilgesnį laikotarpį, leidusi išryškinti darbo rinkoje vykusius pokyčius. Išnagrinėjus gyventojų pajamų nelygybę apibūdinančių rodiklių dinamiką, atskleistos gyventojų pajamų nelygybės tendencijos, pateiktos galimos ekonominės diferenciacijos mažinimo kryptys, išnagrinėta skurdo situacija šalyje. Išnagrinėjus gyvenimo iš pašalpų tradicijos plitimo priežastis, emigracijos ir imigracijos tendencijas bei jų priežastis ir pasekmes šalies socialinei ekonominei raidai, pateikiami galimi sprendimai. Valstybės socialinei ekonominei būklei lemiamos įtakos turi ir viešojo sektoriaus institucijų veiklos kokybė. Siekiant viešojo sektoriaus veiklos efektyvumo, jo indėlio į šalies socialinę ekonominę plėtrą, racionalu taikyti verslo praktikoje patikrintą ir pasitvirtinusią valdymo priemonę ? strateginį planavimą, kurio principų realizavimo galimybės yra didesnės taikant funkcijų analizės metodą. Efektyvus institucijų strateginis planavimas neįsivaizduojamas be teisinio reglamentavimo, kartu institucijų darbuotojų iniciatyvos, kūrybinės laisvės. Monografija skiriama socialinės ekonominės politikos formuotojams ir viešojo valdymo akademinei bendruomenei. Mikroekonomika – vienas iš pagrindinių socialinių mokslų mokomųjų dalykų, pagrindžiančių tolesnį kitų socialinių ir ekonominių dalykų mokymą ir mokymąsi. Nūdienos ekonominės aktualijos dar labiau sustiprina mikroekonomikos, kaip fundamentinio dalyko, reikšmę visoje studijų programoje. Šios mokomosios knygos paskirtis – supažindinti su svarbiausiais mikroekonominiais procesais, padėti įgyti gebėjimų, apskaičiuojant pagrindinius ekonominius rodiklius, ir parengti pagrįstas poveikio įmonės veiklai išvadas. Mokomojoje knygoje pateikiamos pagrindinės teorinės sąvokos, testai, kuriais remiantis vertinamas studentų žinių lygis, taip pat užduotys ir situacijos, formuojančios gebėjimus praktiškai pritaikyti teorines žinias. Šioje knygoje glaustai apžvelgiamos organizacijų vadybos funkcijos ir siūlomos priemonės, kaip šias funkcijas realizuoti. 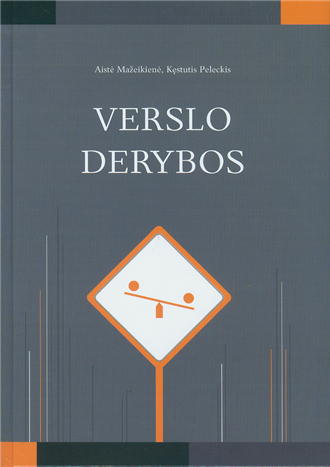 Leidinyje nagrinėjamos netradicinės vadybos priemonės, kurios nėra arba retai nagrinėjamos mokomojoje literatūroje. Mokomoji knyga skirta bakalaurantams ir magistrantams, studijuojantiems vadybą ir ekonomiką, finansų inžineriją, taip pat statybos ir kitų inžinerinių specialybių studentams, siekiantiems įgyti organizacijų vadybos (planavimo, organizavimo, vado­vavimo, kontrolės) žinių. Kita vertus, šiuo požiūriu knyga reko­menduojama ir praktikams – verslininkams ir administratoriams, ekonomistams ir inžinieriams, įvairių organizacijų vadovams. Rašant šią knygą, nepretenduota į labai išsamią vadybos teorijų ir įvairių jos modelių analizę. Mokomoji knyga turėtų paskatinti skaitytoją savarankiškai nuodugniau gilintis į organizacijų valdymo ir vadybos teorijų klausimus. Leidinyje nagrinėjami aktualūs finansinės apskaitos ir finansinės atskaitomybės klausimai, atskleidžiami bendrieji apskaitos principai ir verslo apskaitos standartai, apibūdinami apskaitos ir atskaitomybės informacijos rengimo, naudojimo bei pateikimo vartotojui elementai, pateikiamas apskaitos procesas ir jo organizavimo tvarka, sąskaitų plano struktūra, turto, nuosavo kapitalo, pajamų ir sąnaudų, pelno mokesčio apskaita. Aiškinamas finansinės atskaitomybės sudarymas ir finansinių ataskaitų informacijos panaudojimo analizė įmonės veiklai valdyti bei jos rezultatams vertinti. Pateikiamos knygos tekste vartojamos apskaitos sąvokos. Teorija iliustruojama praktiniais pavyzdžiais, leidžiančiais taikyti apskaitos žinias ekonomikos ir vadybos problemoms spręsti. Knygoje analizuojama biudžeto pajamų formavimo teorija, susiejant ją su įvairių valstybių praktika. Biudžeto pajamų formavimo nagrinėjimas pradedamas nuo bendrųjų biudžeto formavimo aspektų: teisinio reglamentavimo, principų, metodų ir sandaros. Nuosekliai analizuojami biudžeto formavimo etapai. Taip sudaromos prielaidos gilesnei biudžeto pajamų dalies teorinių ir metodologinių aspektų analizei. Daug dėmesio skiriama svarbiausio pajamų šaltinio – mokesčių analizei. Knyga skiriama aukštųjų mokyklų studentams, rekomenduojama ir dėstytojams bei visiems, besidomintiems valstybės veiklos finansavimo klausimais. Knygoje nagrinėjamos pagrindinės vadybos dalyko temos. Dėstoma taip: iš pradžių aptariami vis dar diskusiniai vadybos aspektai, pateikiama trumpa vadybos mokslo ir praktikos formavimosi apžvalga, paskui supažindinama su organizacijų valdymo kontekstu ir svarbiausiais valdymo sprendimų rengimo metodais. Taip sudaromos prasmingo suvokimo prielaidos išsamiau nagrinėti valdymo funkcijas. Nuosekliai nagrinėjamos tokios valdymo funkcijos: prognozavimas, planavimas, organizavimas, apskaita, kontrolė ir analizė. Aptariamas kiekvienos funkcijos turinys ir vaidmuo, apibendrintos profesinėje literatūroje pateikiamos jų interpretacijos, supažindinama su taikomais metodais ir technologijomis. Kiekvienos temos žinioms pasitikrinti skyrių pabaigoje pateikiama užduočių. Knyga skiriama studentams, vienokiu ar kitokiu pavadinimu studijuojantiems vadybą, rekomenduojama ir praktikams – vadybos profesionalams ir manantiems tokiais esant. Vadovėlis sudarytas pagal modulio Verslo derybos programą. Leidinyje aprėptas visas derybų ir dalykinių pokalbių ciklas: nuo pasiruošimo ir informacijos rinkimo iki sprendimo priėmimo. Derybų ir dalykinių pokalbių procesas pateikiamas kaip visuma, atkreipiant dėmesį į atskirų dalių specifiką ir tarpusavio ryšį. Gebėjimas derėtis, dalyvauti dalykiniame pokalbyje apima platesnį kontekstą – žmonių bendravimo ir komunikacijų sistemą. 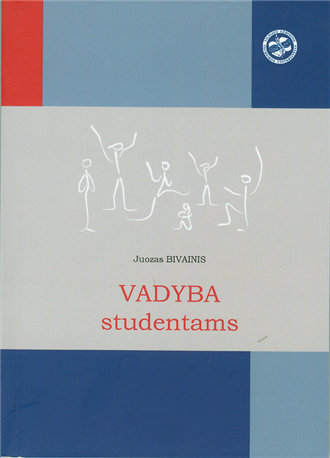 Knyga skirta VGTU studentams, besimokantiems pagal verslo vadybos ir įstaigų vadybos studijų programas. Šiuo leidiniu galės naudotis ir kitų aukštųjų mokyklų vadybos, ekonomikos ir kitų specialybių studentai, siekiantys įgyti žinių derybų ir dalykinių pokalbių vedimo srityje. Vadovėlis skirtas Europos Sąjungos bei jos ekonomikos ir politikos studijoms. Jame siekiama atskleisti tokios tematikos studijų ir mokslinių tyrimų vaidmenį, reikšmingumą ir prioritetus, parodyti Europos Sąjungos kaip tarptautinės tarpvalstybinės organizacijos veiklos įvairiapusiškumą ir sudėtingumą, valdymo ir susireguliavimo procesų ypatumus, atskleisti socialinės ekonominės raidos Europos Sąjungoje problemas bei jų sprendimo galimybes, žinių visuomenės ir žinių ekonomikos kūrimo bei sklaidos perspektyvas, taip pat poreikius tobulinti viešąjį administravimą. Vadovėlis suteikia kompleksinių žinių apie Europos Sąjungą, jos plėtrą ir tolesnės raidos perspektyvas. Vadovėlis skirtas universitetinėms vadybinio, ekonominio, inžinerinio profilio, taip pat kitoms pagrindinių ir magistro studijų programoms. Monografijoje nagrinėjami aktualūs teoriniai aktyvios darbo rinkos politikos priemonių kūrimo ir įgyvendinimo klausimai. Leidinyje pristatomi aktyvios darbo rinkos politikos vertinimo metodologiniai klausimai, atskleidžiama Lietuvoje taikomų šios politikos priemonių specifika. Remiantis teorine ir autorių atliktų specialių tyrimų rezultatų analize, vertinamas šių priemonių efektyvumas. 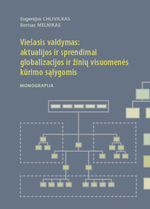 Monografija yra tarpdisciplininio pobūdžio, autorių atliktus tyrimus galima priskirti ekonomikos, sociologijos ir vadybos krypčiai. Leidinyje pateikta aktyvios darbo rinkos politikos analizė ir vertinimai yra aktualūs ne tik akademiniame kontekste, bet reikšmingi ir socialinės bei darbo rinkos politikos kūrėjams ir įgyvendintojams. Monografijoje pateikti duomenys, teorinės ir praktinės įžvalgos gali būti naudingos vadovams ir specialistams, formuojantiems ir įgyvendinantiems socialinę ir užimtumo politiką, bei padėti jiems priimti pagrįstus sprendimus dėl tinkamų aktyvios darbo rinkos politikos priemonių efektyvumo vertinimo kriterijų, formulavimo principų, metodų ir procedūrų pasirinkimo. Vadovėlyje nagrinėjami aktualūs finansinių priemonių ir paslaugų rinkodaros klausimai, apibūdinamos rinkodaros atsiradimo prielaidos ir sąlygos, finansų rinkos ypatumai ir problemos, ypatingą dėmesį skiriant finansinių priemonių ir paslaugų savybėms atskleisti, kainodaros priemonėms ir pinigų srautų vertei nustatyti. Apibendrinti finansinių priemonių ir paslaugų rėmimo, ryšių su klientais valdymo, įvaizdžio ir strategijos formavimo principai ir praktinė veikla. Leidinys skirtas VGTU pirmosios pakopos Vadybos ir verslo administravimo studijų, Vadybos studijų ir Ekonomikos studijų krypčių studentams, turintiems bendrus rinkodaros ir finansų teorijos pagrindus, leidžiančius gilintis į finansinių priemonių ir paslaugų rinkodaros ypatumus, taip pat galintiems ir paskaitų metu, ir savarankiškai susieti teorinius rinkodaros ir finansų sistemos aspektus su praktinėmis veiklos galimybėmis. Leidinyje nagrinėjamos įmonių ekonomikos objekto samprata, gamybos išteklių sąnaudų ir kainos nustatymas, darbo našumo ir darbo užmokesčio ekonomika, įmonės kapitalas ir jo naudojimas, investicijų efektyvumo nustatymas, įmonės inovacijos ir kitos temos. Kiekviena tema apima pagrindines sąvokas ir apibrėžimus, teorinius pagrindus, uždavinių sprendimo pavyzdžius ir kontrolinius klausimus. Mokomojoje knygoje apžvelgiamos įvairios teorijos, nagrinėjančios asmeninių finansų valdymo problemas, planavimo svarbą, asmeninių tikslų nustatymo ir taupymo būtinumą. Pateikiama konkrečių pavyzdžių, kaip įvertinti asmens finansinę būklę, kaip galima apytikriai apskaičiuoti norimą turėti ateityje pinigų sumą. Supažindinama su ekonominėmis tendencijomis ir jų daroma įtaka asmeniniams finansams, apibūdinamos investicijų į finansines ir materialines vertybes galimybė bei jų rizika, analizuojama kreditų, gyvybės draudimo, pensijų fondų svarba Knyga skirta aukštųjų mokyklų finansų mokslus studijuojantiems studentams ir visiems, kurie domisi asmeniniais finansais. Google Scholar, Gale Academic OneFile. IndexCopernicus international databases, Google Scholar, GALE Academic OneFile. Mokslas - Lietuvos ateitis. Verslas XXI amžiuje. 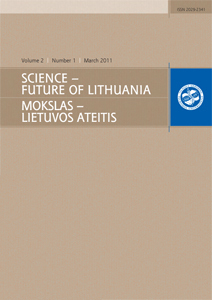 Science – Future of Lithuania. Business in XXI century. EBSCOhost: Academic Search Complete; IndexCopernicus.